What is Postmodernism, and is it a useful concept for understanding American art and visual culture of the past 40 years? When and to what extent did Modernism wane as a phenomenon in American art? How have the various liberation movements, from civil rights to feminism, influenced American art and culture and contributed to the rejections of the Modernist ethos? How has globalism changed American art and culture? How have the new technologies of the past 50 years--television, personal computers, the Internet--altered the nature of progressive art in the United States? Are any of these changes intrinsically Postmodern? These issues and more were debated during the two-week online conference The Modern/Postmodern Dialectic: American Art and Culture, 1965-2000, held on the Georgia O'Keeffe Museum website during Octobert 2001. 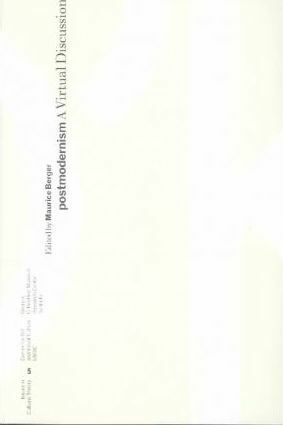 Postmodernism: A Virtual Discussion gathers the edited proceedings, with contributions from an international group of scholars, artists and curators, including Dan Cameron, Donna DeSalvo, Wendy Ewald, Chrissie Iles, Catherine Lord, Olu Oguibe, Yvonne Rainer and Robert Rosenblum.